Recently, reports about superbugs are rampant again. The discovery and application of antibiotics is a great revolution of mankind, but everything is too late. Abuse of antibiotics has caused adverse social consequences. First of all, endangering public health. Drug resistance can be transmitted through the food chain, direct contact with animals or indirect through the environment to human beings. 20% of the drug-resistant bacteria infected by human beings come from food animals and animal food, followed by pollution of water and the environment. Thirdly, the problem of blindly using antibiotics is widespread in both aquaculture and medical use, and "superbacteria" is the result of human abuse of antibiotics. "Superbug" is rampant, or will face the plight of no antibiotic available. 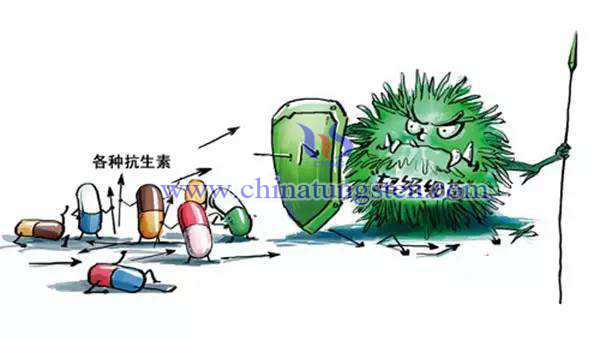 In western developed countries, the use of antibiotics is strictly required. As a result, they are more likely to use non-antibiotics to treat diseases, and metals are also part of the research. Medium Tungsten Online has reported that Americans are studying the use of tungsten salts to treat hyperlipidemia and diabetes. In the latest issue of Nature, a team from the University of Texas Southwest Medical Center published new research using salts containing tungsten to treat enteritis. In the past, scientists believed that many of the most serious diseases affecting humans were caused by bacterial pathogens. Leprosy, gonorrhea, diphtheria, tuberculosis, plague, cholera, dysentery, etc., a bacterium that causes a disease that affects the way we think about infection, means an obvious solution: eliminate mistakes, cure the disease. But the link between intestinal microflora and ill health may be more complicated. Our bodies naturally contain tens of thousands of bacteria. Most are benign or even beneficial. However, these so-called microbial groups often turn into negative states. For example, inflamed bowels tend to accommodate unusually large numbers of bacteria from the family Enterobacteriaceae (what the team calls "enteros"). The team found that tungstate, a soluble tungstate in drinking water, selectively prevented large numbers of enterobacteriaceae bacteria in the gut from multiplying. The nearby beneficial bacteria are unaffected, apparently because their energy production and metabolism do not depend on this particular cofactor. Molybdenum, the main trace element in the enzymes that process formates and nitrates, is a key factor in allowing enteric bacteria to eat and breathe. Tungsten is similar to molybdenum and sits just below the periodic table. It has enough chemical properties to replace the molybdenum in bacterial enzymes. When tungsten is used instead of molybdenum, these enzymes die, and intestinal bacteria can not regenerate without nutrients and die. Scientists fed small amounts of tungsten salt to mice and found that the tungsten element can be targeted to kill harmful bacteria. 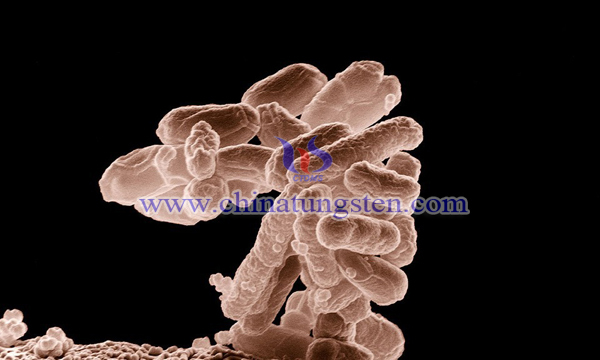 Under normal conditions, tungsten maintains the balance of bacteria and inhibits them only in an inflammatory bowel environment. It's more precise and subtle than changing microbes, better than blasting with antibiotics, and involves gentle pushing rather than killing. Scientists also explain that this is probably the best way we can say so far without antibiotics, and although it's still in the experimental stage, it keeps us away from antibiotics. Of course, tungsten is a heavy metal. Drinking tungsten directly is toxic. We need to screen molecules with the same activity through technology, without toxicity.